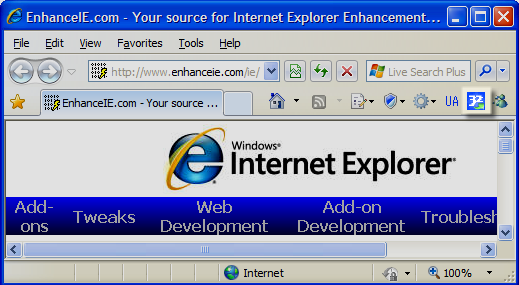 This trivial add-on enables you to easily open the current web page in 32-bit Internet Explorer when you are running the 64-bit version of IE. It also makes it easier to tell when you're running 64-bit IE (vs. clicking Help > About, and looking for the "64 bit edition" string). If the toolbar button can't be seen (and you're sure you're running 64-bit Edition of IE), right-click the IE toolbar and choose "Customize." Move the "Open this page in 32bit IE" entry from the "Available" column to the "Current" column.